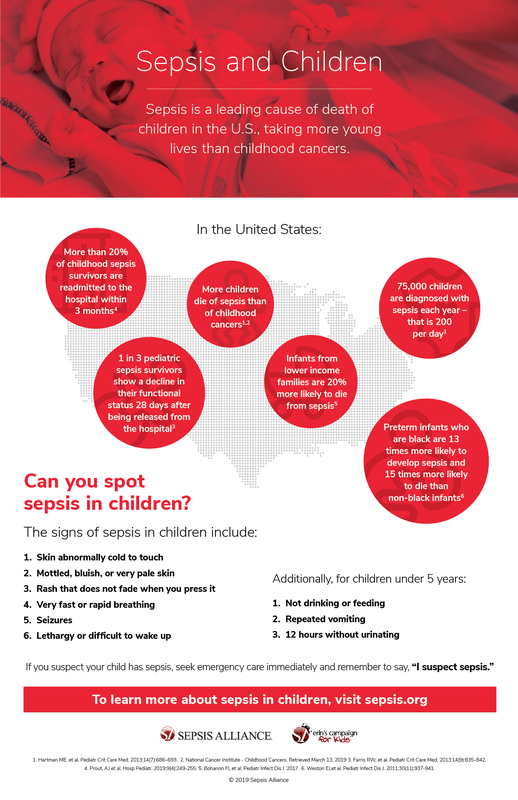 More children die of sepsis than of childhood cancers, can you spot the signs? 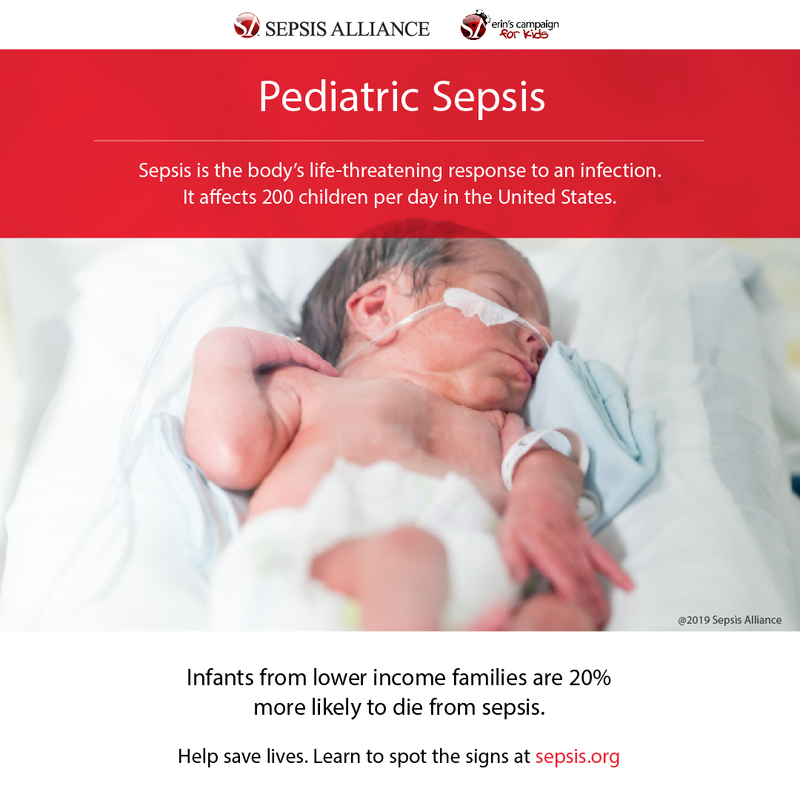 During Pediatric Sepsis Week, we invite you to join us in raising awareness of the signs and symptoms of sepsis in children and in recognizing the 75,000 children who develop sepsis every year in the U.S. This annual observance will be held the third week of April. 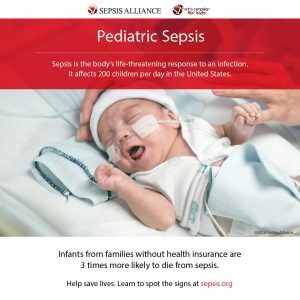 In 2019, its inaugural year, Pediatric Sepsis Week will take place from April 21 – April 27. Keep reading to learn how you can get involved! If you or a loved one experienced sepsis as a child, share your/their story using the #ChildhoodSepsisStory hashtag on social media. When you share your sepsis story you help raise awareness and help others who have had similar experiences know that they are not alone. It can be as simple as a Facebook post, or it can be a creative video on Instagram. Your story could help save the life of a child. 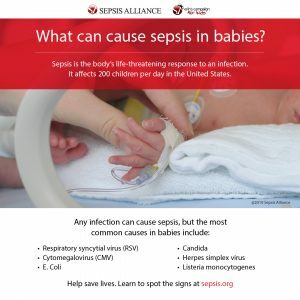 Remember to tag Sepsis Alliance at @SepsisAlliance. Host a child-friendly event (ex. softball or bowling) in your community to honor the children who have experienced sepsis, raise sepsis awareness, and help us continue to provide education and resources about sepsis and children. Learn how to host an event here. A Facebook fundraiser is an easy way to honor a child who experienced sepsis and raise awareness of the signs and symptoms. 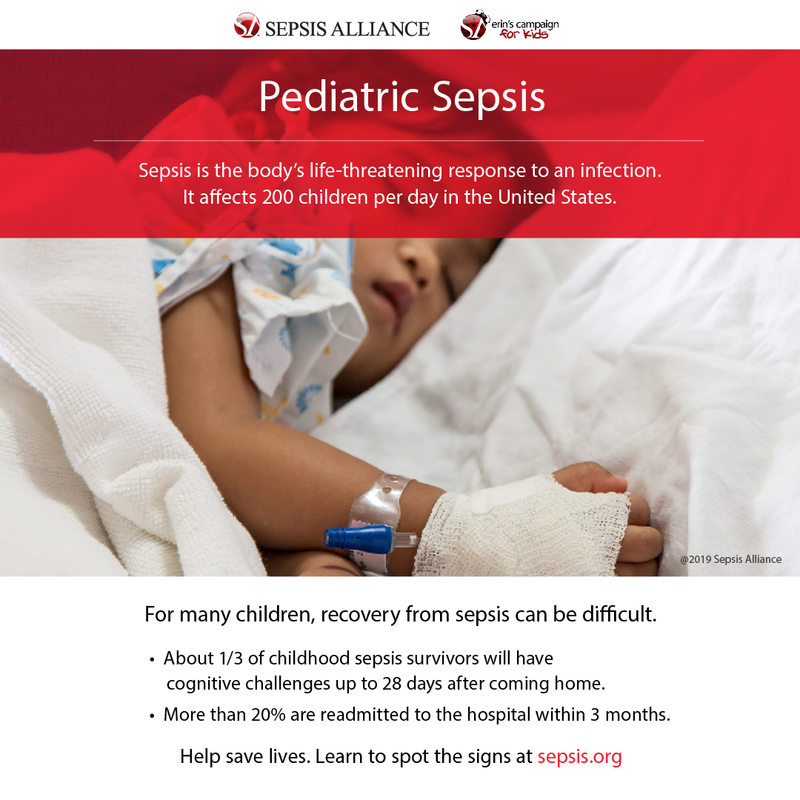 Ask friends and family to give so we can continue providing education and resources about sepsis and children. 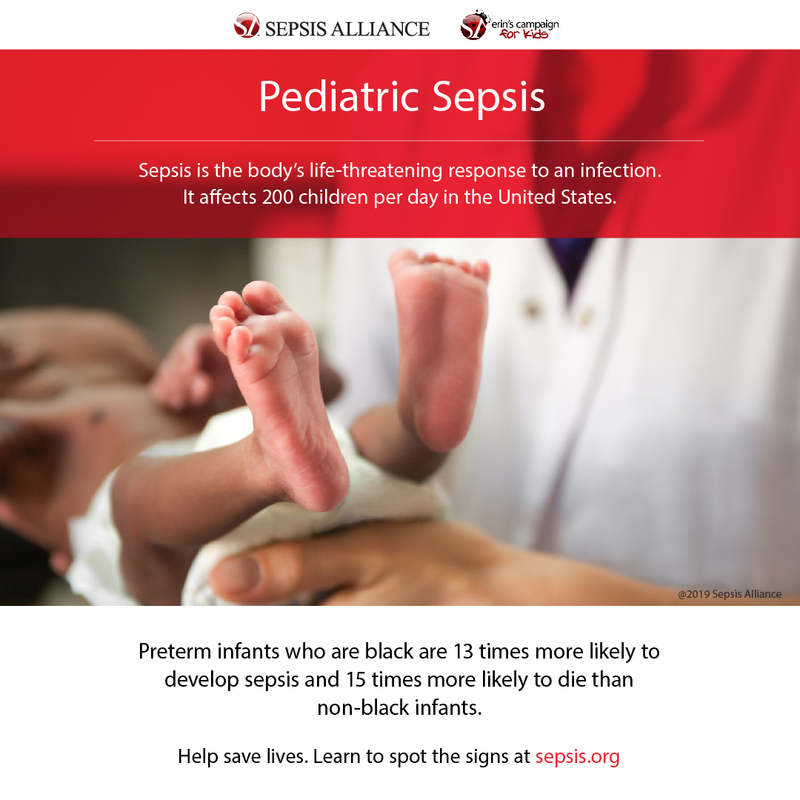 To download the entire toolkit (including the Sepsis and Children infographic), click here. Watch our Sepsis and Children video which tells the story of 8-year-old Michael who developed sepsis from an infection, ultimately leading to a quadruple amputation of his arms and legs. Share Michael’s story with your friends, family, and community. Click on the below infographics to download and share them with your social media community. Remember to hashtag #PediatricSepsisWeek and tag @SepsisAlliance when you do. 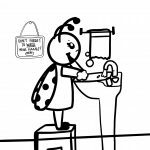 We’ve created coloring sheets to help the child or children in your life learn about preventing infections, because infection prevention equals sepsis prevention. 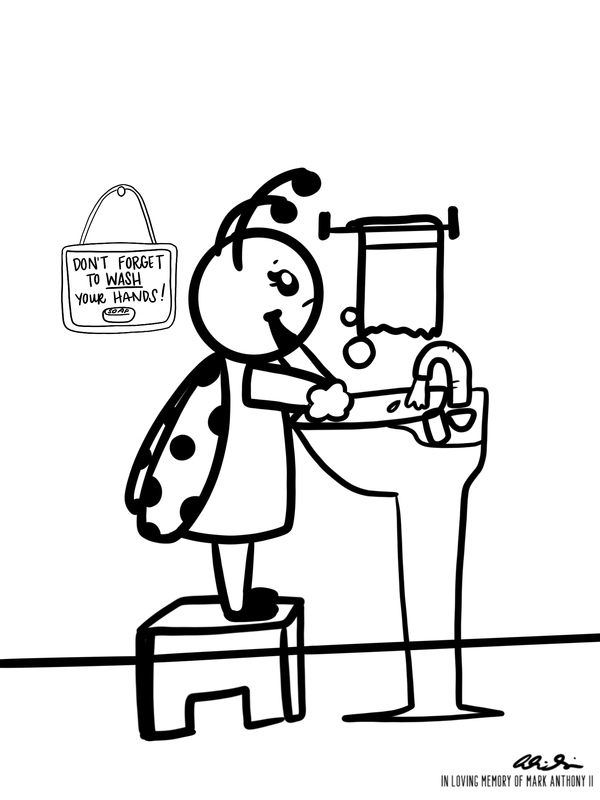 Download the coloring sheets here. Make sure you have all the facts about sepsis and children. 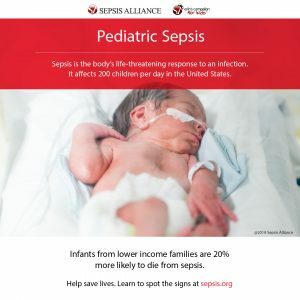 To download our 2019 Sepsis and Children fact sheet, click here. To download this easy to print guide about sepsis and children, click here. 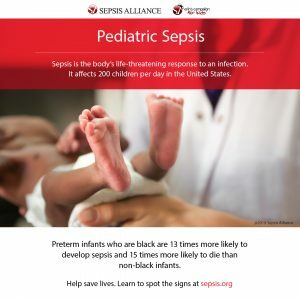 To learn more about sepsis and children, click here. 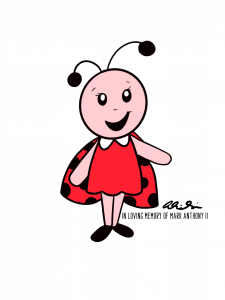 Bug is a friendly ladybug who loves to help children learn about preventing infections so they can be healthy. Alyssia Aguilar created Bug in loving memory of her son Mark Anthony II, who was taken by sepsis when he was only 16 days old. Bug was inspired by the spirit of Erin “Bug” Flatley, an aspiring teacher who passed away from sepsis when she was 23 years old. After losing Erin, her father Carl Flatley, DDS, MSD, founded Sepsis Alliance. In her memory, Carl and Sepsis Alliance developed Erin’s Campaign for Kids, to help combat the high incidence and mortality rates of sepsis among children. To learn more, click here. A great BIG thank you to Alyssia Aguilar, The Lofty Mom. Alyssia is an illustrator and blogger. 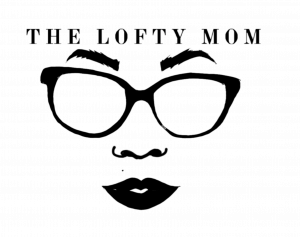 You can learn more about her at www.theloftymom.com.